Beautiful spacious executive suites offering the convenience of tailored service packages for all clients. Each office to lease includes cutting edge technology and all modern amenities. Clients also benefit from ideal location just off I-95, only minutes from vibrant downtown Wilmington and superb transport links to the surrounding area. This location provides access to many of the areas local activities and restaurants. Just across from the historic DuPont building this center provides tenants with a modern CBD facility. There is common space suitable for gatherings of up to 50 people while floor-to-ceiling windows provides swathes of natural light. This premium office space offers tenants with the opportunity to choose from furnished or unfurnished office space. A long list of amenities are offered at this location, further improving your office experience. Featuring an elite class of fully furnished executive suites, this newly-renovated business centre offers a fantastic selection of office sizes. Each luxurious suite has the advantage of cutting edge technology, onsite conference facilities and inclusive administration support. 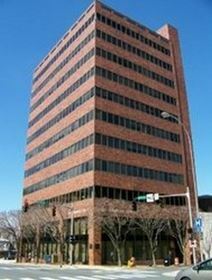 These offices to lease are situated just off I-95 in downtown Wilmington with easy access to the surrounding areas. Offering a full range of furnished executive and innovative virtual suites, this cutting edge business centre provides flexible, comprehensive packages tailored to each of its clients. Clients also benefit from skilled support staff, state-of-the-art internet and communication technology and spacious onsite meeting rooms. These offices to lease are superbly located in vibrant downtown Wilmington with gourmet restaurants, shopping and natural features just seconds away. Additional easy access to I-95 and Routes 13, 52 and 202, and quick routes to New York City and Washington DC.